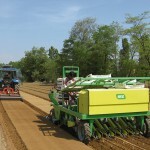 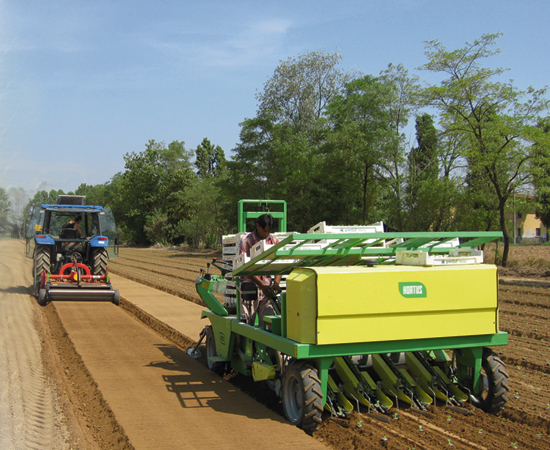 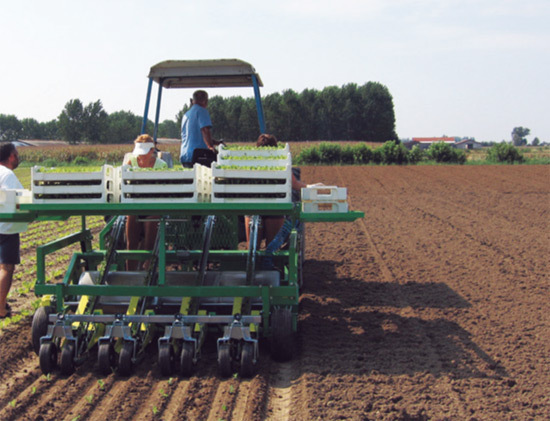 TRE is a fast and precise automatic transplanting machine for square soil blocks 3x3e/o 4×4 e/o 5×5. 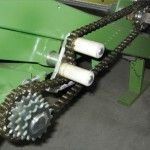 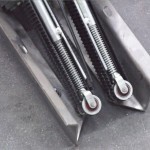 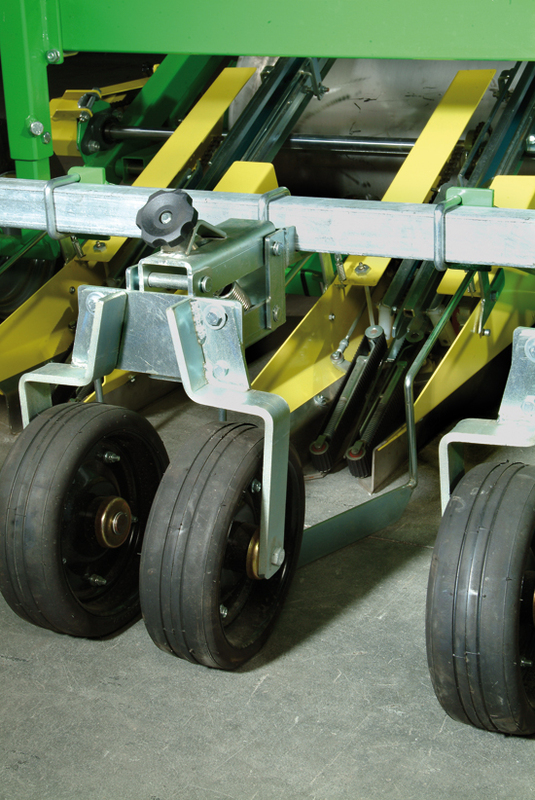 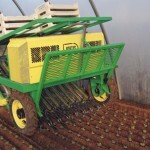 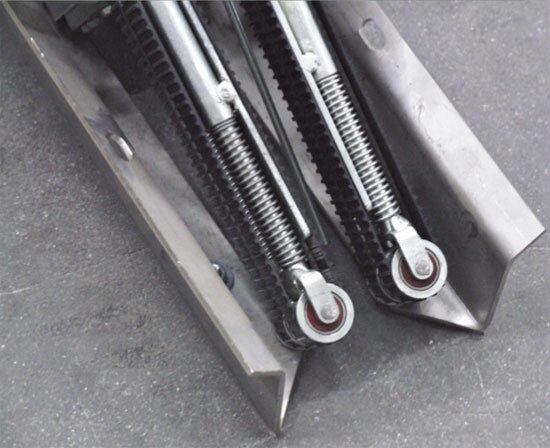 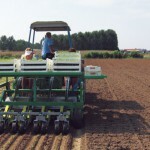 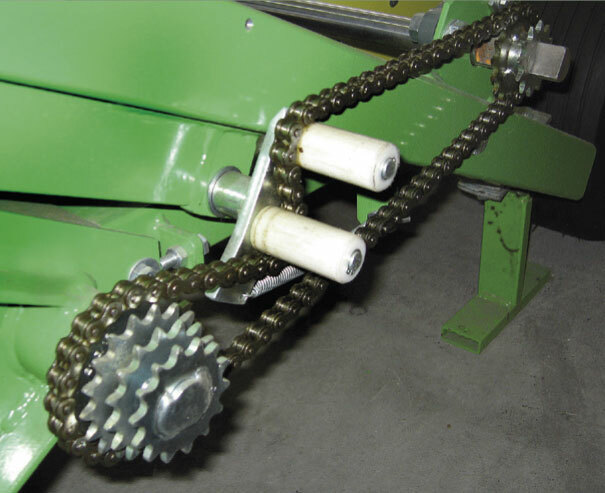 The plant’s feeding system is equipped with belts and with a pneumatic device, which separates the soil blocks and bed them out, even if the plants have long and tangled leaves. 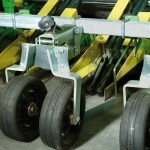 TRE is equipped with two independent frames, assembled together with a parallelogram system: the one internal frame supports the transplanting elements and the external one is mounted on 4 wheels. 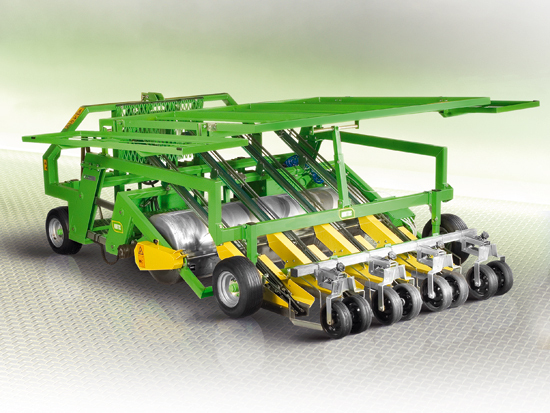 The machine does not allow to mulch. 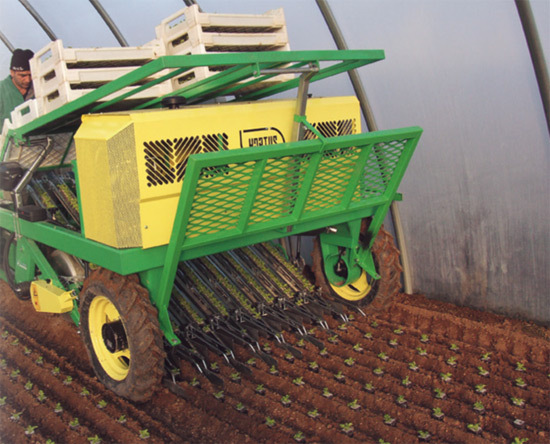 TRE is the version towed bay a tractor and the TRE-MATIC model is a self-propelled hydrostatic drive machine, equipped with automatic pilot.